I hope that you are doing well and enjoyed working with A-Pro Home Inspection services. I am in the process of establishing our online presence and brand. Online reviews are an essential factor for our business to rank higher in search engines like Google, Bing, and Yahoo so that customers can find us online quickly and easily. I’m personally asking every client if they would mind writing a review about Greg Simmons and A-Home Inspection Service and submit it to Google Places. Just click the Google Review icon to get started. A-Pro Home Inspection Service welcomes informative and insightful reviews. I look forward to personally speaking with you soon. P.S. 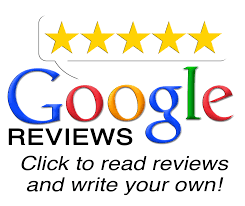 to get started please click Google reviews icon below then scroll down to “Write a review” on the left-hand column.